Last year at this time I was in Arizona. I stopped at Patagonia Lake State Park and found this Trogan on several occasions. They are incredible birds to see and to photograph. This Trogan liked to stay in thick cover and it made him hard to photograph. I was lucky to get the photos I did of him. 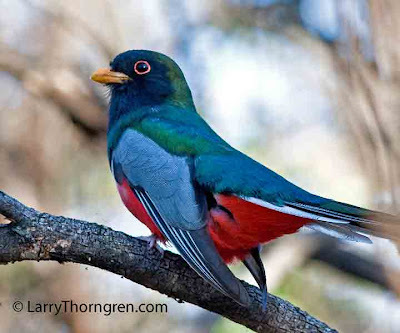 This elegant Trogan looks very colorful and frankly speaking that I see this bird for the first time.It is also interesting to know about this bird.Its good that you are lucky one.